If you are a parent of a child with special needs, you know what a headache school can be for your child. Some days it even seems like a battle that’s seemingly impossible to win. 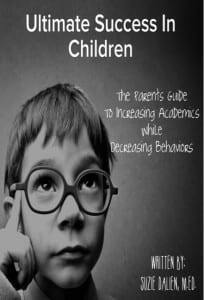 When your child comes home from school, they may often feel lost, frustrated and overwhelmed from their academic day. As classroom sizes continue to grow and school funding continues the drastic decline, the gap between what your child with special needs requires and what the school can provide seems to grow almost daily. To battle this increasing gap and take education into their own hands for their child with special needs , many parents are turning to alternative sources of education such as supplemental learning through special education tutoring. Tutoring in the traditional sense has been around longer than sliced bread. Through time, children have sought an alternative way to receive additional training and education when they struggled in a certain lesson, test or assignment. Special education tutoring is much more recent and truly born out of necessity. The term “special education” was coined back in the 1970’s, with it came the need for specialized teachers and other professionals to truly understand and develop a program from scratch that would benefit millions of children with special needs. With the explosion of the newly formed special education services, it was (and still is) tough to keep up with the shear demand. Every day, new students are approved to receive these amazing special education services which puts a massive strain on an already flawed school system. Parents began searching for alternative ways to ensure their child with special needs received the education they deserve and the specialized learning they need. Supplemental learning through special education tutoring quickly grew in popularity as a way to fill the void left by a school system bursting at the seams. A special education tutor takes the curriculum your child is currently learning in their classroom environment and shapes it specifically to fit their individual learning needs. Furthermore, with the recent advancements in technology special education tutoring has become even more accessible than before. 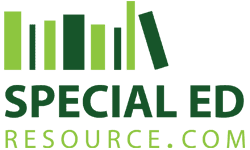 Special Education Resource provides online special education tutoring designed specifically for children with special needs. Online special education tutoring provides convenience. A majority of children are able to learn more effectively from the privacy of their own home. Once your child gets into the routine of going to school, and having an online tutoring session, you both will be able to tell the difference between life before and life after special education tutoring. Consider the added benefit of having your child come home from school to a tutor that can help reinforce the lessons they’ve learned during the day and clarify confusing concepts in such a way your child can understand. Maybe your child needs help preparing for an important test, or catching up from a sick day. Online special education tutoring makes plans available for your child’s exact situation, meeting him or her where they’re at, and providing quality education and assistance, making your life easier, and your child’s life better. Special education tutoring assists children in reaching their educational goals along with a decline in behaviors caused by the frustration of being overwhelmed with school work. 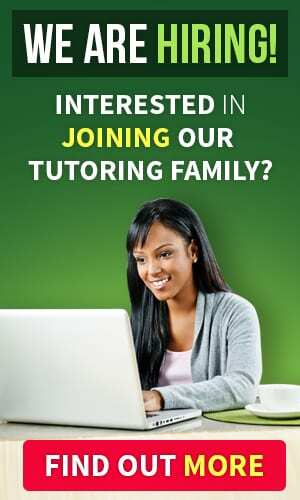 An online tutor will take time to get to know your child, and their specific learning needs and styles. In today’s world, it’s increasingly important for children with special needs to have supplemental education assistance, and an online tutor is a simple and important step for ensuring your child’s bright future. This entry was posted on Wednesday, September 24th, 2014 at 11:13 pm and is filed under Special Education Tutoring and tagged as . You can follow any responses to this entry through the RSS 2.0 feed. Supplemental learning through special education tutoring is increasing in popularity throughout the US. Children with special needs aren’t receiving needed support in the traditional classroom setting. With class sizes growing out of control and budgets continuing a sharp decline, frustration caused by being overwhelmed has increased drastically in children with special needs throughout our nation. Many parents are taking their children’s academic future into their own hands and seeking additional support and guidance. The first step is a free consultation with a special education tutor. This no obligation consultation is designed such that parents are finally able to receive answers to the toughest questions and receive direction to ensure their child’s success.